Super Eagles captain, John Obi Mikel and Victor Moses returned to the national team line up as they file out against the Three Lions of England at the magnificent Wembley Stadium this evening. Both players were not listed in their one-all draw against DR Congo at the Adokie Amasiaemeka Stadium in Port Harcourt last week. Deportivo La Corona of Spain rookie, Francis kept his place in goal, while Brigton’s new signing Leon Balogun, Bryan Idowu, William Troost Ekong and Shehu Abdullahi will marshal Nigeria’s defence. Captain Obi Mikel will spare head the midfield alongside Joel Obi, Alex Iwobi and Ogenyi Onazi while the duo of Victor Moses and Odion Ighalo lead Nigeria assault upfront. 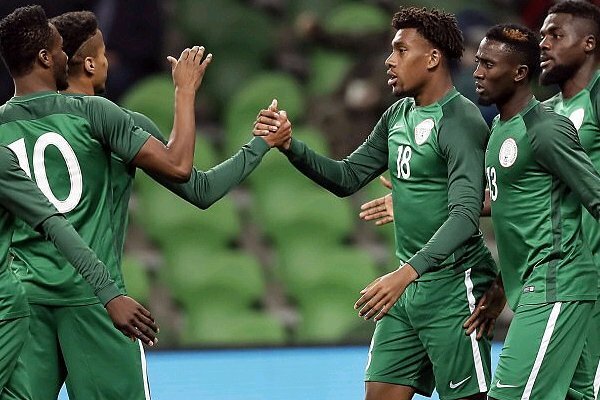 The substitutes are; Daniel Akpeyi, Ikechukwu Ezenwa, Kenneth Omeruo, Mikel Agu, Chidozie Awaziem, Simeon Nwankwo, Kelechi Iheanacho, Ahmed Musa, John Ogu, Tyronne Ebuehi, Ola Aina, Elders on Echiejile, Oghenekaro Etebo and Wilfred Ndidi. The tie will kick off at 5 p.m.